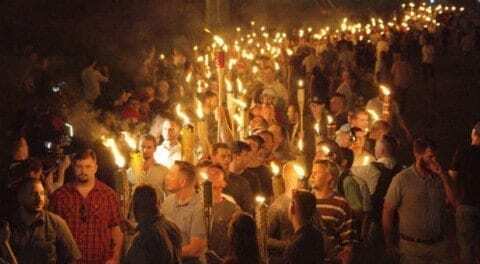 Events such as Charlottesville, destroying of Holocaust Memorials, and discrimination against other races are removing any possible amends that we might make. We can’t be truly remorseful for something if we do not learn from it, and do our best to avoid it. No actions are being taken to change our society, and its subconscious views of other people. We need to fundamentally change how we interact and see other people, if we want to live peacefully. “White supremacy is so indelibly ingrained within the very fabric of the United States, and the privileges associated with whiteness are so foundational, that real change—uncomfortable change—will only come from true effort by those willing to see the holes in our national narratives of inclusion.” (Schroeder)White supremacy is one issue that should not exist anymore. It should be a thing of the past, but it is very much a thing of the present. There are about 930 white supremacist groups in the US today. The lack of equality is earth shattering, and not much is being done to stop it. Learning From the Past by Lexi is licensed under a Creative Commons Attribution-ShareAlike 4.0 International License. Is The Future a Good or Bad Place?Will our environment continue to grow unhealthier or will we be able to change that? Lexi, I am satisfied by your post because I agree with what you think about society and how we dwell and continue to repeat the past but not take it as a learning curve. As we focus more and more on the past, we lack focus on trying to make changes to society. One thing you said that stands out for me is that “No actions are being taken to change our society, and its subconscious views of other people.” I think this really fits our society and explains how we lack change.